The renovation scope includes all trades to upgrade spaces throughout the building such as new finishes in the main lobby, elevator upgrades, new office suites and conference rooms. It also includes significant mechanical and electrical upgrades to replace the boilers and install new lighting. Work is occurring simultaneously on multiple floors requiring a heightened coordination effort to minimize disruptions to existing tenants and the surrounding neighborhood. GMA recently completed the first phase of the Midway Concessions Project Concourse A Food Court which included 11 new restaurants. 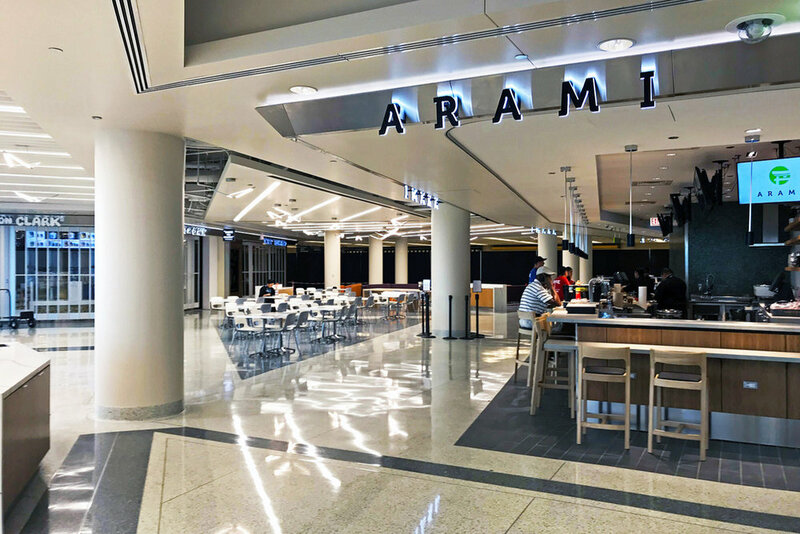 GMA’s work consisted of the tenant build-out of two concession spaces: Arami Sushi (1,000 SF) and Woodgrain Pizza (700 SF). This multi-floor tenant build-out project, which includes enlarged office layouts, a new state-of-the-art central conference room, an employee break room with fully functional kitchen. New mechanical, electrical, and plumbing upgrades have been installed throughout the space as well. 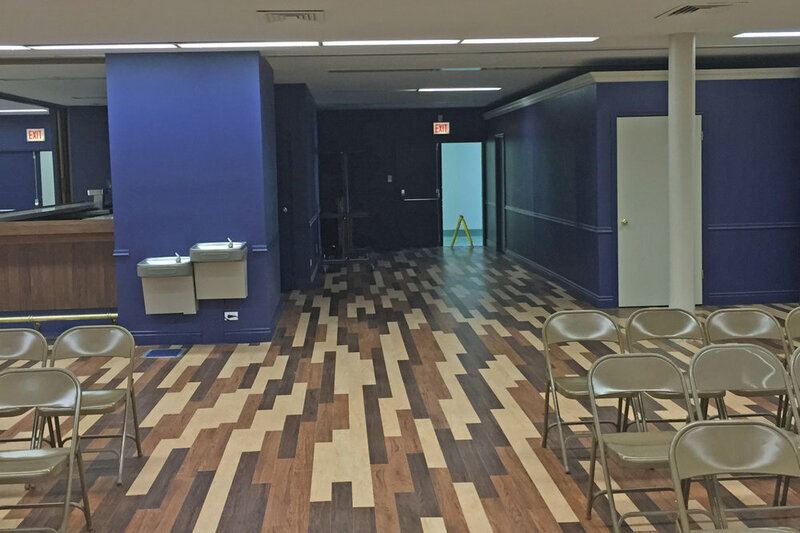 The suite 818 Tenant Improvement included the complete renovation of an existing office space into a full service training center. The scope included demolition, MEP upgrades, flooring, painting, modular divider walls, and integrated technology. The Lafayette Steel Renovation included the completion demolition and renovation of an 8,000 SF warehouse into a full service corporate office facility. The scope included demolition, new MEP systems, elegant finishes, luxury ceiling tile, integrated technology, interior glass curtain walls systems, and corporate signage. 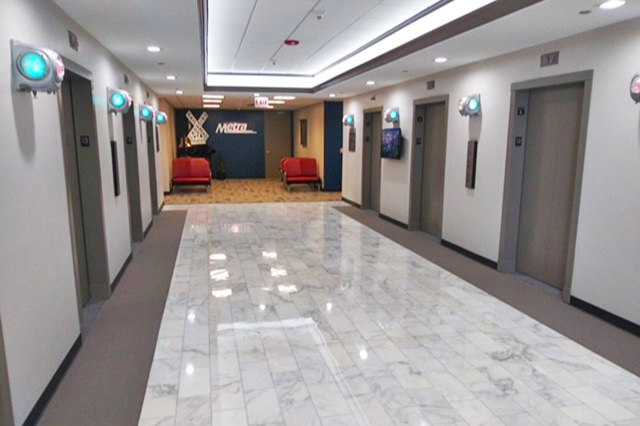 The phase 1 renovation of the American Postal Workers Union included the complete renovation of 10,000 SF of ballroom, meeting, and common area space. The project also included an exterior renovation component that included a new modified bitumen roof along with masonry restoration on the west and south building elevations.